Immigration Policy Isn’t Working for the Economy. Let’s Fix That. January 31st, 2019 by Jeff Farrah & filed under Immigration, NVCA Blog. January 23rd, 2019 by Cassie Ann Hodges & filed under Building Better, NVCA Blog. January 15th, 2019 by Maryam Haque & filed under NVCA Blog, Research. Now that you’ve had the weekend to digest the 4Q 2018 PitchBook-NVCA Venture Monitor released last week, it’s time to dive into more trends! NVCA President & CEO, Bobby Franklin, reviewed some of the big takeaways from 2018 in his VentureBeat article over the weekend. 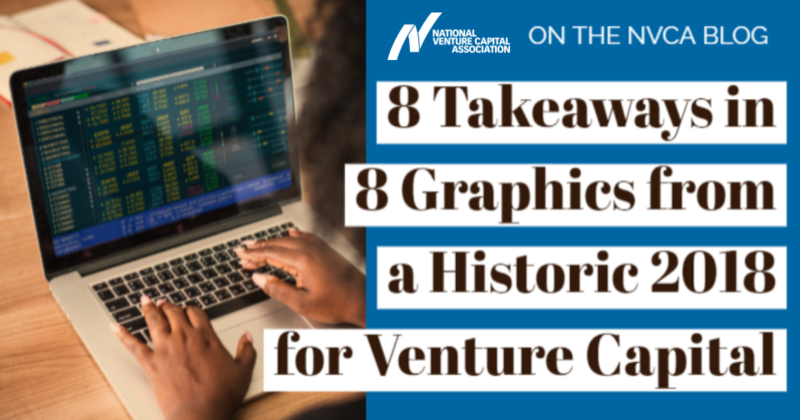 This blog post builds on those trends and themes with data and charts from the Venture Monitor, highlighting what we think are the eight most notable ones. Should VCs Care What the Government Considers “Emerging Technology”? December 20th, 2018 by Jeff Farrah & filed under NVCA Blog, Public Policy.